Experience increased quality, schedule improvement, cost effectiveness and other rewards with design-assist. Design-assist leverages the strengths and expertise of key trade contractors through a Lean, integrated approach. When your project requires sequencing construction in conjunction with a fast-track schedule, in an operating environment or under harsh weather constraints, engaging key trades early to provide input into the project schedule, logistics planning, long-lead procurements and construction phasing maximizes effectiveness. 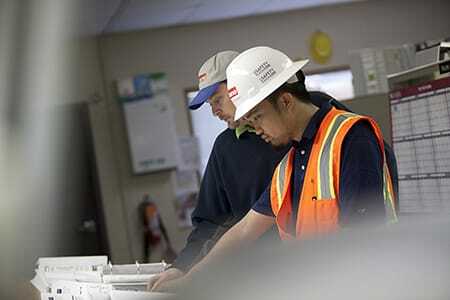 Trades can also provide insights on construction methods that focus on LEED and sustainability. Bringing on selected trade contractors early in the design process can significantly enhance project quality, cost-effectiveness, schedule responsiveness and knowledge of the current marketplace. Design-assist trades can range from MEP/FP to building superstructure, building envelope, equipment or other specialty trades.